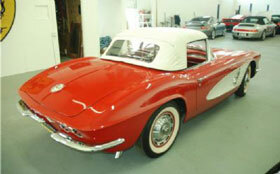 61 Corvette 283 Fuelie 4spd Roman Red with Ermine White coves and a White top. 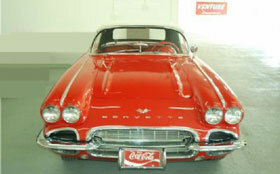 This car is an orginal California car that was acquired out of a very prominet 100 car collection. The previous owner to that had owned the car for over 25 years.. 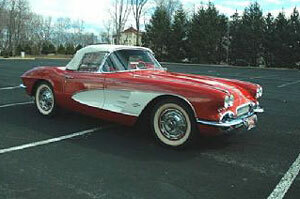 The 61 Corvette older restoration is period correct and fundamentally sound. The engine 's show this car to be a very rare Cr block. Out of the approx 1600 fuelies made, only 177 were the rare and sought after cr block. The fuel injection 7017200 with the serial number sn 1101 show this to be a very early fuelie with the exceptionally rare finned injection setup. The injection system has been completely rebuilt and works flawlessly. The right hand exhaust and oil pan are correct. Posi traction and a tight 4spd trans complete this car.